Flat track hardware for sliding doors offers a simple, yet elegant aesthetic that is growing in popularity. Traditionally, this type of door system was used in turn the century residential and agricultural settings for barn and stable doors, homes, carriages houses and garages, or door room partitions. 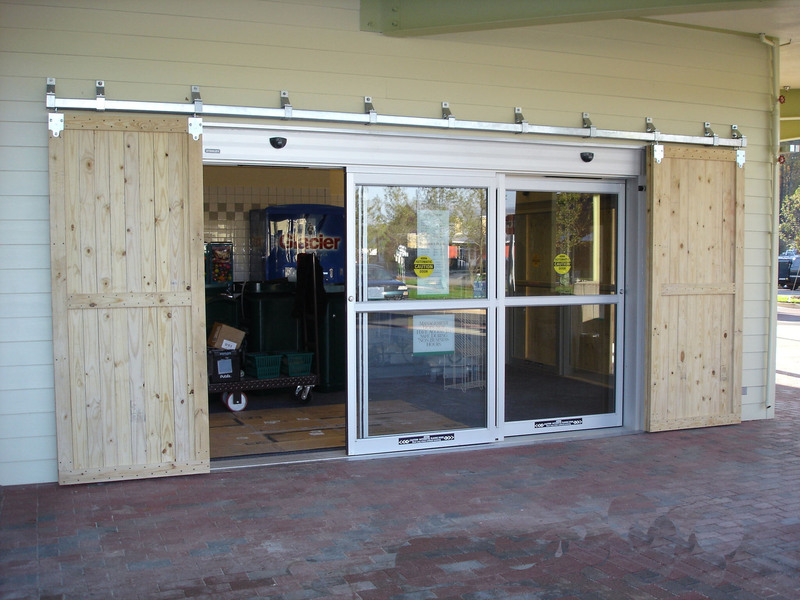 Today, use of flat track door systems is no longer limited to these earlier applications. Flat track doors can be found in homes, retail business, schools, theaters, restaurants, and more. What makes flat track systems appealing is they are able to be used with light, medium, and heavy duty doors with maximum weight loads of 250- 400 for standard flat track for standard residential doors and up to 800 pounds for heavy duty flat track for door thicknesses range between one and three-quarter inches to two and one-half inches. The length of the track size does vary based upon the specific purpose of the system. Common track sizes are six foot, eight foot, or ten foot lengths per door section. Custom design track sizes can also be built in cases where shorter lengths are required. One reason for the resurgence in flat track systems is their ease of installation in a variety of areas where there is a need to add a door but there is insufficient space for a traditional door, or the door would extend too far into the open area of the room, making it difficult to fully utilize the entire space. For instance, in homes with smaller bedrooms with closets, replacing the existing doors with flat track door systems give you much more space within the room. 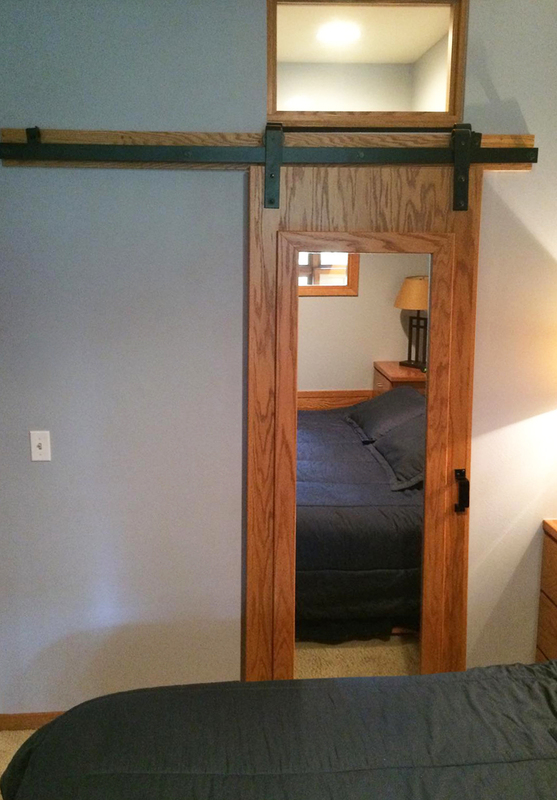 You do not have to worry about the doors extending out into the bedroom, since they are securely mounted along the wall. Further, you can leave the door open, if you want to, and not worry about it getting in your way. Another reason flat track systems are gaining popularity in offices and the retail industry is the ability to custom size specific work areas to suit the renters’ needs. Flat track systems can be designed where they essentially become floating or movable walls. Building owners can “right-size” rental spaces to match those of their renters, as well as potentially increase the number of businesses they can fit into a single space without drastic modifications to the actual building. Additionally, flat track door and hardware systems are helping restore historical buildings to their former beauty and original appearances. The historic meaning, behind specific buildings within a community, has relevance for people of all ages. From citizens that live in the community year round to seasonal tourists, restoring a historic building brings years of enjoyment for everyone and gives the community something unique to share with others. Whether you are looking to give your business or home a new look, or want to maximize the space within your business or home, call the flat track door and hardware system experts at RW Hardware at 800-253-5668, ext. 4678 for further assistance.